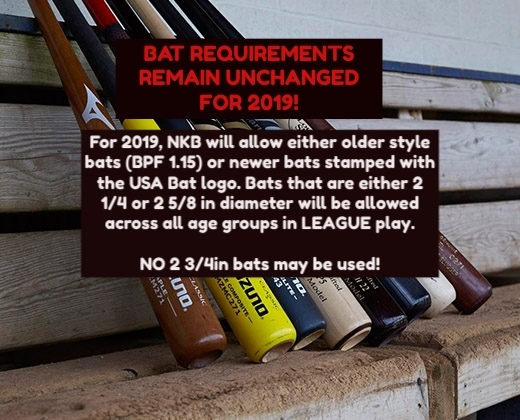 The bat requirements for 2019 remain the same as 2018. For 2019, NKB will allow either older style bats (BPF 1.15) or newer bats stamped with the USA Bat logo. Bats that are either 2 1/4 or 2 5/8 in diameter will be allowed across all age groups in league play. 2 3/4 bats are NOT allowed.